Who loves a good sausage pizza? 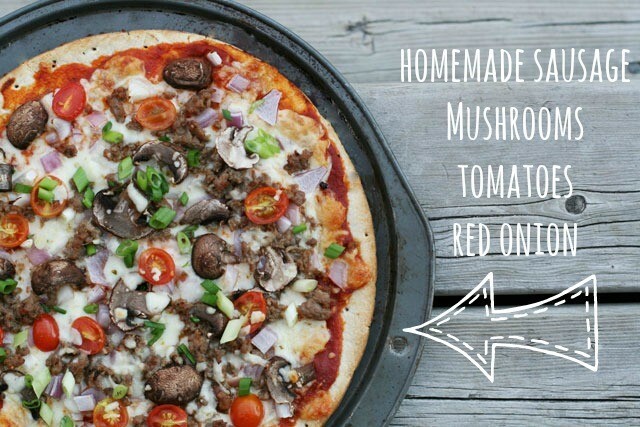 Making your own homemade pizza sausage at home is very affordable. I found a pound of breakfast sausage on sale for $1.99. I combined it with spices I had stocked in my kitchen and made it into delicious homemade sausage for pizza (or breakfast). This yielded enough for several pizzas (7 or 8). I usually make a big batch and freeze the sausage in small portions so they’re ready to take out and use. Dinner prep couldn’t be easier! Bake for 8 to 10 minutes at 420F. Remove from oven, top with chopped green onion and drizzle with balsamic glaze. Get more budget-friendly recipes, money-saving tips, and look at pretty photos by following Cheap Recipe Blog on Instagram. 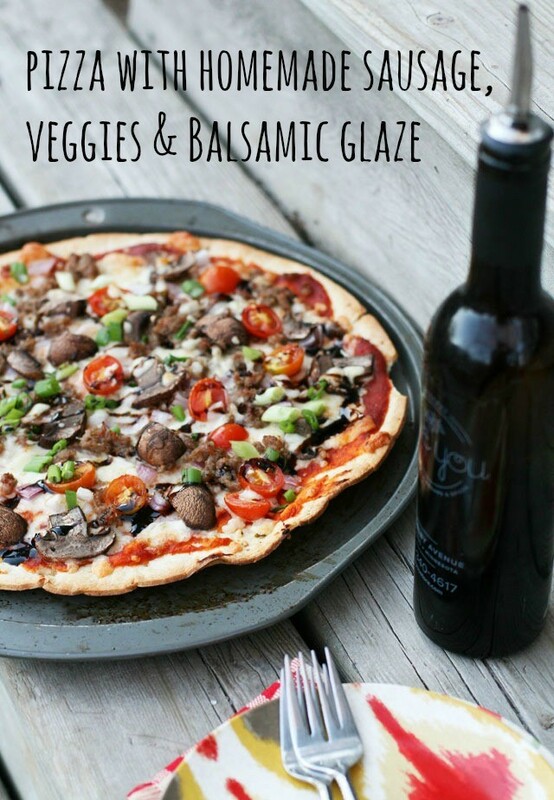 Making your own pizza sausage at home is very easy. 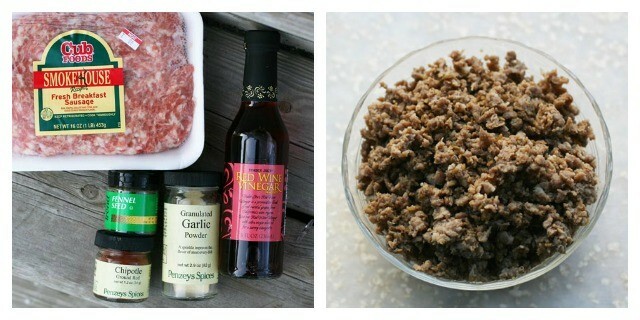 You just need a few spices and ground pork. This freezes well, so make a big batch. Store in small bags in the freezer and take them out as you need them. Place pork sausage in a large frying pan and turn heat on to medium-high. Add spices, vinegar, and sugar and start stirring the sausage to break it up. Break up any large pieces. Fry until sausage is fully cooked, about 4 to 5 minutes. Remove sausage from pan and place on a plate covered with paper towels. Allow sausage to cool. Use immediately or freeze for future use. You, are clever!! I love the idea of getting one kind of meat and being able to use it for multiple purposes. Keeps my tiny freezer a little less cluttered! 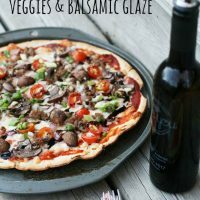 I have made a lot of homemade pizza Sausage , but haven’t ever tried homemade sausage. This looks really easy and tasty too! I’ll have to get some fennel and try it out.